To begin 2014, I’m going to do something different. I’ve mentioned before that one of the great things about authors is their willingness to support other writers, and I’m going to try to do a little more of that this year. 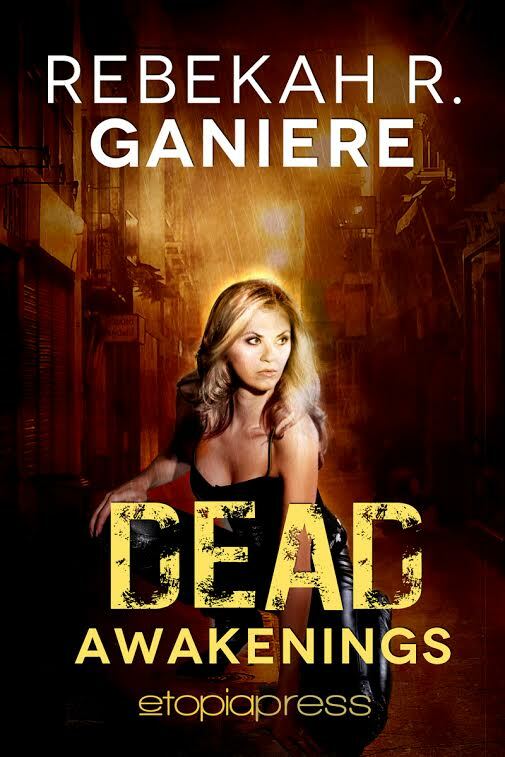 For my first author visit, I’m pleased to introduce you to Rebekah Ganiere and her new book DEAD AWAKENINGS which releases today, January 3rd, from Etopia Press. I’m very excited for Rebekah because although I don’t know her personally, Rebekah and I have a special relationship….we are critique partners. Admittedly I had nothing to do with DEAD AWAKENINGS as we only became critique partners recently, but I am super excited for her debut book and I wish her much success. Well, I am a SAHM of four that I homeschool. I love to read and write, sew, craft, play video games. The best vacation I have ever had was this last summer. We went as a family to Comic Con in San Diego and I thought I would die because I was in geek heaven. I love comic books, obviously, fantasy, paranormal, urban fantasy. We go to the movies a lot and I prefer to see Superhero, fantasy or action movies. But if I am reading a book I prefer romance. I love action movies! Do you have a process for coming up with character names and book titles? Character names are kind of a funny thing for me. I never know it when I start, but as the character builds in my mind I know exactly what their name should be, and I can seldom be talked out of it. I have only ever once changed a character’s name after starting to write a story. Titles are also something I just know when I think of it. I’ve never changed a title either, but I have had trouble coming up with one before. Like all of my work, it just kind of hits me. I have a little book I carry with me, and when I hear the perfect name, I add it to a running list. So, Rebekah, tell us about your current book. DEAD AWAKENINGS is a New Adult Urban Fantasy/Paranormal Romance. Evaine, a struggling theater student, enters an unsanctioned drug trial to pay bills and wakes up A Deader. A Reanimated Undead. Saved by a group of men, she is taken to Haven House. A safe house for others like her. While there she begins to fall for a brooding warrior who has no patience for dealing with all the stuff she is going through. Sounds very interesting! How about a little more? Evaine, a struggling New York theater student, enters an unsanctioned drug trial in an effort to pay bills. She awakens in a derelict hospital, chained to a bed with no memory of who she is, or how she got there. A band of pale skinned men, led by the gorgeous Luca, burst in, whisking her away to safety. Once at Haven House, Evaine is introduced to The Family. Like them, she has become A Deader, a reanimated Undead. Luca is hell-bent on stopping the experimentations, and killing those responsible. He has no time for a Newborn who is struggling to control her rages, hunger, and powers. Nor does he have the desire to deal with the feelings she’s awakening within him. Despite their best efforts, Evaine and Luca find their connection intensifying when suddenly, she remembers not only who she is, but also her fiancé, Tristan; who is still looking for her. Torn between her first love and her new heart’s desire, Evaine runs back to Tristan putting everyone in danger. When a rogue faction of Deaders, called Feeders, attempts to kidnap her, Luca suspects Evaine is the key to the experiments. Can everyone band together to keep Evaine off the cutting table of those she escaped from? Or will second death tear her away from everyone, for good? Sounds great, Rebekah. I wish you much success! DEAD AWAKENINGS will be available at Amazon , Barnes & Noble, and other smart retailers. Rebekah’s love for stories began as a child with Shel Silverstein poetry. She began writing her own poetry and short stories in junior high and high school and then went on to study theater in college. Ultimately she ended up going back to writing so she could stay at home with her kids. 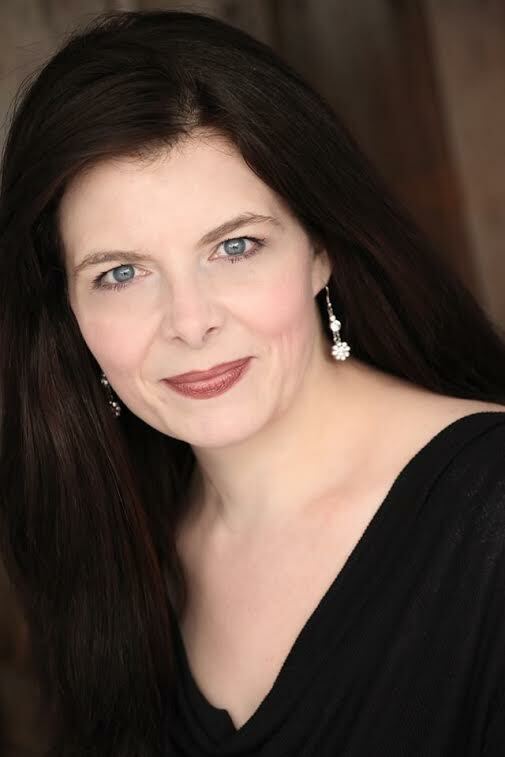 Rebekah is a member of Romance Writers of America as well as the Fantasy, Futuristic, & Paranormal Chapter, her local Los Angeles, Orange County, and Young Adult chapters. When she isn’t spending time telling the stories of the characters constantly chattering inside her head, you can find her hanging out with her husband, four children and menagerie of pets. A dog, a rabbit, 2 bearded dragons, 1 Russian Tortoise and 2 Leopard Tortoises. The escaped snake has yet to be located. This entry was posted in Charlotte Copper, Paranormal Romance, Rebekah Ganiere, Urban Fantasy by Charlotte Copper. Bookmark the permalink. Thanx so much Charlotte for having me today! I really appreciate it!